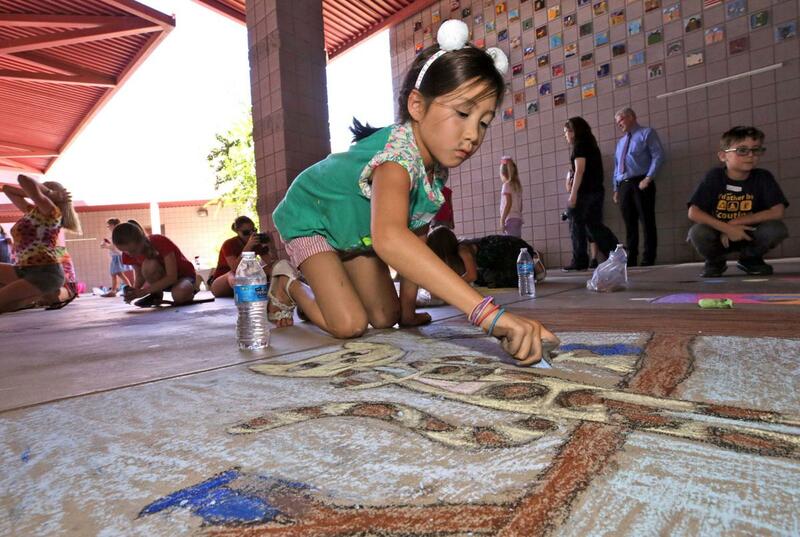 Ella Bissmeyer, 8, a third grader, puts the finishing touches on her piece during the Fourth annual Chalk Art Marathon at Tanque Verde Elementary School. Some 129 students, from grades K-8, as well as teachers and parents participated, said art teacher Alicia Marrano. Participants were given a 3 x 3 foot concrete canvas to draw on that had an "Art Meets Science theme." Judges score the work and the top 12 winners will have the biggest images in a calendar they plan on making, Marrano said.